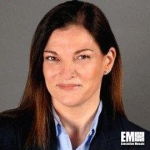 Eva Andres, former chief human resources officer of Virtustream, has joined Juniper Networks (NYSE: JNPR) as a senior vice president and CHRO. Juniper said Monday Andres will report directly to CEO Rami Rahim and oversee the company’s HR functions that encompass people strategy, organizational development, corporate culture, inclusion and diversity. She will also manage philanthropic efforts of the company’s Foundation Fund. The more than two-decade HR professional previously worked at EMC, Documentum and Columbus. “As the chief human resources officer, I am looking forward to leading Juniper’s people strategy and aligning on the evolution of Juniper’s culture and talent, now and in the future,” Andres said.